Simple, modern, cost effective and tasteful. 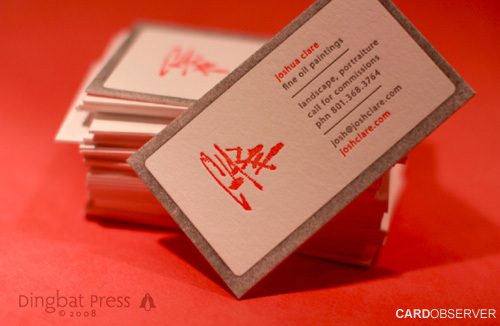 This letterpress card was designed for an artist who specializes in fine oil paintings. Good mix of colors with a unique symbol ... can you guess what it says?